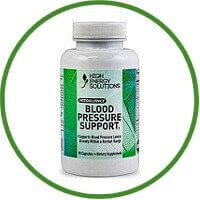 Vessellance is the natural and safe supplement for blood pressure. It is specifically formulated to help support blood pressure levels in the normal range and consists of a unique blend of Vitamins and Herbs that include Vitamin C, Vitamin B-6, and Niacin Folic Acid. It also have B-12, Garlic Extract, Hibiscus Flower, Olive Leaf and Hawthorn Berry Extracts and Green Tea. Finally, vessellance contains an effective blend of natural herbal diuretics, Uva Uris, Juniper Berry, and Buchu Leaves. Like Vitamin B-6, these herbs can help rid the body of excess fluid which help in supporting proper blood pressure levels. This is a great product, but there is no ‘magic pill’! A person has to work on lifestyle, diet changes and needs to be vigilant in taking proper medications &/or the proper supplement. Vessellance is a proper & effective supplement. Wishing you the best of health!! !